At Grandview Kitchens, we don’t just manufacture kitchens, we offer all types of renovations. We specialise in a full range of renovation options including Kitchen & Bathroom Cabinetry as well as laundries, wardrobes and butler’s pantries. Do you deserve to be a little spoilt? Want to bask in a little luxury? Why not consider a custom bathroom makeover from Grandview Kitchens, WE can design manufacture and install your new vanities and give your old bathroom a new lease of life. Relax and get that dream bathroom you’ve always wanted. Searching for space in your wardrobe? Need more shelving or hanging space. Call Grandview Kitchens and we can design a custom made walk in robe to suit all your individual requirements. If you don’t have room or have room but a badly designed wardrobe, We have the ideas and expertise to solve all your storage problems. Grandview Kitchens are the new kitchen experts – and more. We provide design, build and installation services not only for new kitchens, but for bathrooms, laundries, wardrobes and custom cabinetry as well. At Grandview Kitchens, your kitchen is in safe hands. 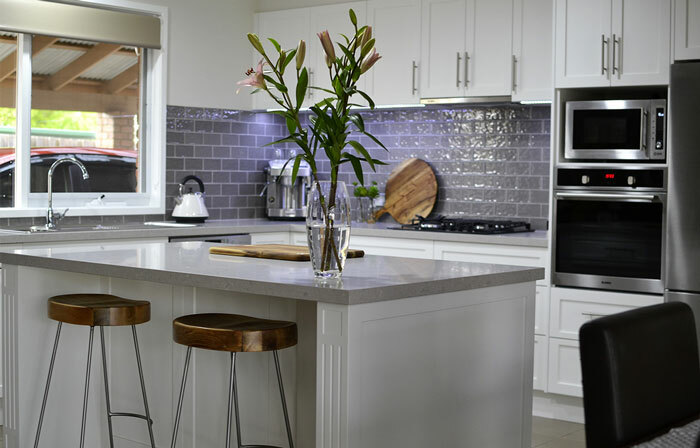 We have been designing and building kitchens since 1975. . Our Australian-owned company is dedicated to producing the highest quality new kitchens. Install it in your home, including organising trades people. Imagine sitting down in your perfect new kitchen with the whole family. Grandview makes it possible! Don’t need a whole new kitchen? Maybe you’ve recently moved into a new property with a new kitchen or have recently renovated your kitchen. Either way, if you want small changes, new appliances or other services, Grandview can make expert additions to your existing kitchen. If you already have a great kitchen and want your bathroom to look just as good, we can help. 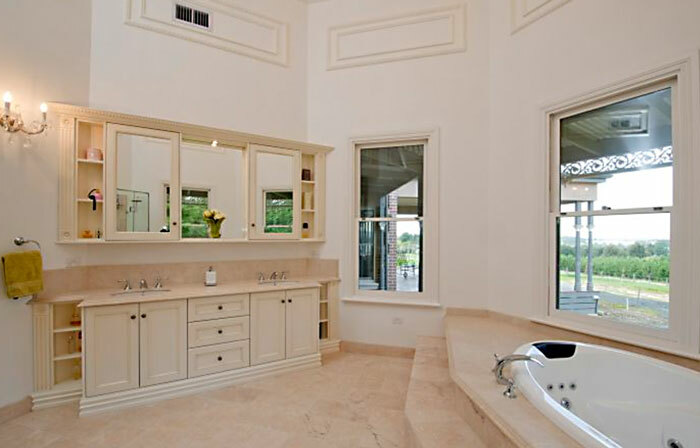 Our custom design, build and installation service is perfect for bathrooms too. We can also reinvent your laundry. Usually one of the smallest rooms in the house. We can help you utilize the space more efficiently and can offer some great storage soloutions. Is your wardrobe cramping your clothes style? Is the storage space poorly organized? Do you need some shelves, rails or just a bit of customising? Grandview can custom design and install a wardrobe for you. 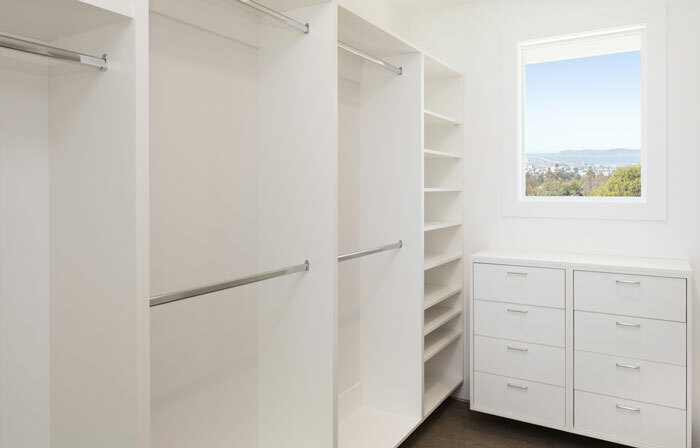 You’ll be amazed at the difference a wardrobe with custom-designed storage space can make. Got a special project you think we might be able to help with? Challenge our talented designers, build team and installers to build your dream project. No matter if it’s a new kitchen, bathroom, laundry cabinets or something a little more customised.. , All of our products are custom-designed and built at our workshop to your specifications and with quality materials- so you get the result you want, without the hassle. We can help your renovation dreams come to life. Contact us at Grandview Kitchens to organise an obligation free consultation.